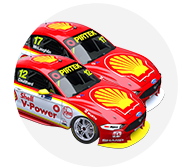 Supercars drivers Scott McLaughlin and Fabian Coulthard were seconded to Team Penske’s headquarters last week, linking up with their American counterparts. 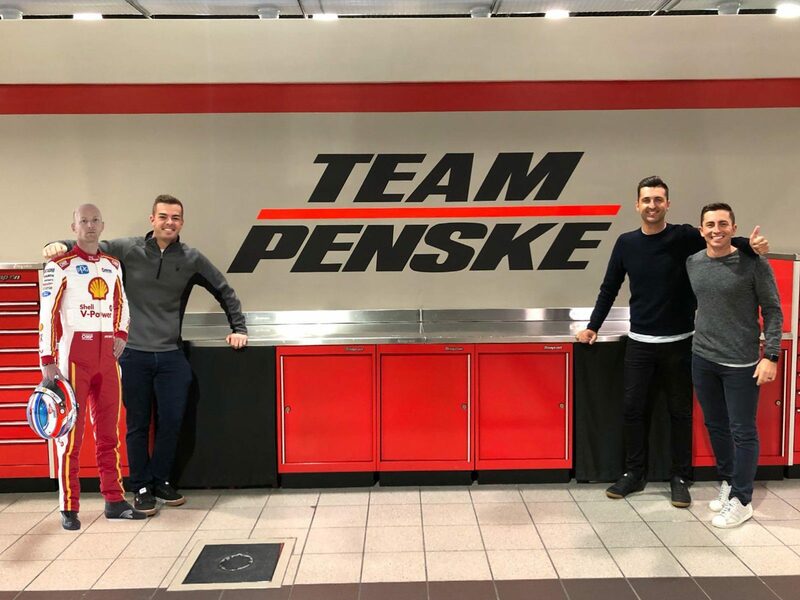 It marked the first time that all 14 of Team Penske’s full-time drivers across its NASCAR, IndyCar, IMSA and Supercars programs, were brought together. 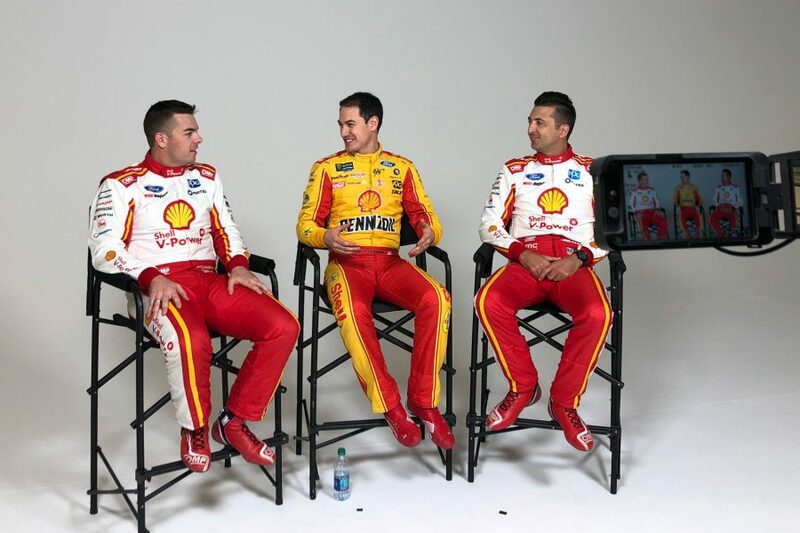 They took part in two days of promotional filming, including for the team’s ‘Penske Games’ social media videos, which pit the drivers against each other in a series of challenges. 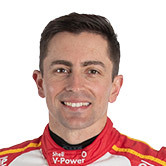 Both Supercars drivers had already visited Penske’s North Carolina headquarters, Coulthard doing so during his first year as a DJRTP driver in 2016, alongside Scott Pye. 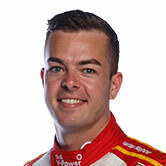 McLaughlin recently revealed he undertook a tour of the workshop with president Tim Cindric in 2014, two years before signing with the Shell-backed squad. Last week’s visit also included Tony D’Alberto, who has been part of the team’s PIRTEK Enduro Cup line-up in each of the last three years. D’Alberto and Alex Premat – who McLaughlin cheekily added into a picture from the workshop posted on Instagram (top) – are set to remain with the team for this year’s enduros. After the workshop visit, Coulthard and D’Alberto attended last weekend’s Daytona 24 Hour in Florida with Team Penske. Penske runs a pair of Acura prototypes in IMSA, with Ricky Taylor/Helio Castroneves/Alexander Rossi finishing third at Daytona and Juan Pablo Montoya/Dane Cameron/Simon Pagenaud eighth. ?? You’ve been incredible! ?? Thankyou to @team_penske for giving us the rockstar treatment while visiting, @fabiancoulthard and I enjoyed every moment! ? McLaughlin skipped Daytona, instead returning to New York, where he has spent the bulk of the month with fiancé Karly and her family. 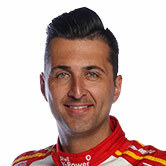 The 2018 Supercars champion will return to Australia at the end of this week, ahead of Shell V-Power Racing’s livery launch on February 11.